Properties in Snowshoe average 4.6 out of 5 stars. Enjoy an Amazing Summer Vacation Experience at The Polaris Pointe at Snowshoe! Property 2: Enjoy an Amazing Summer Vacation Experience at The Polaris Pointe at Snowshoe! Log Fireplace-ski in ski out, 2 bedroom 2 bath flat, Snowshoe Resort finest! 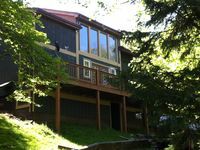 Property 3: Log Fireplace-ski in ski out, 2 bedroom 2 bath flat, Snowshoe Resort finest! Snowshoe has so much to offer for the Summer! Property 5: Snowshoe has so much to offer for the Summer! Property 7: Family-friendly slice of heaven! REDUCED FOR MARCH! ASK FOR DETAILS! Property 8: REDUCED FOR MARCH! ASK FOR DETAILS! 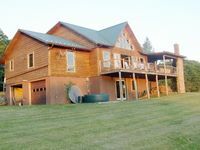 West Ridge 11- Hot Tub, Game Room, Grill, Fire Pit, Dog Friendly! Property 10: West Ridge 11- Hot Tub, Game Room, Grill, Fire Pit, Dog Friendly! West Ridge 62- 5,000 s.f. of Luxury Mountain Living, Hot Tub, Amazing View!! Property 17: West Ridge 62- 5,000 s.f. of Luxury Mountain Living, Hot Tub, Amazing View!! Cozy home right at Snowshoe mountain!! Property 20: Cozy home right at Snowshoe mountain!! This is my 2nd stay here within 4 years. We thoroughly enjoyed our stay. There was a leak in the middle master bathroom from the loft bathroom. We notified the owner and he was thankful and assured us it would be fixed. There is an abundance of cooking, mixing and serving bowls and plates. Crock pot, instant pot, etc. They do need to get more dish towels though. Plenty of space and beds were comfy. Although almost every night the fire alarm would go off randomly in the middle of the night and wake the entire household. Owners works with us to check in early so we could get on the slopes ASAP. Overall, a great stay. We enjoyed the large open spaces and three levels of living space. The kitchen is well equipped with ample dishes, cooking utensils, and cooking supplies. The entry drop off area was well planned to contain all outdoor clothing, etc away from the living area. Come prepared knowing that cell service is sketchy in all areas of the mountain.